Half Term is looming in just a few weeks and thoughts are turning to Halloween. The evenings are getting darker slightly earlier already too. 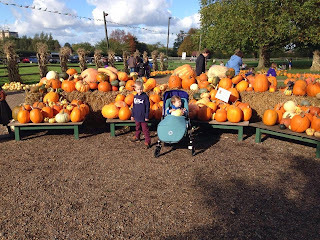 The kiddies have been going on about Halloween for weeks now and want to go back to Crockford Bridge Farm and their pumpkin patch. Thing 5 also now wants a pumpkin costume and I am sure the shops are going to be extra busy over the next few weeks and Halloween costume stocks will be depleting fast. Halloween always comes and goes in the blink of an eye. The children get so excited. The costumes have been in the shops for a while and inevitably we end up buying them an outfit so they can go out trick or treating. We only take them down our road and an adjacent street. They only ever knock on the door where we can see they have also done something for Halloween or they have children and we know them. 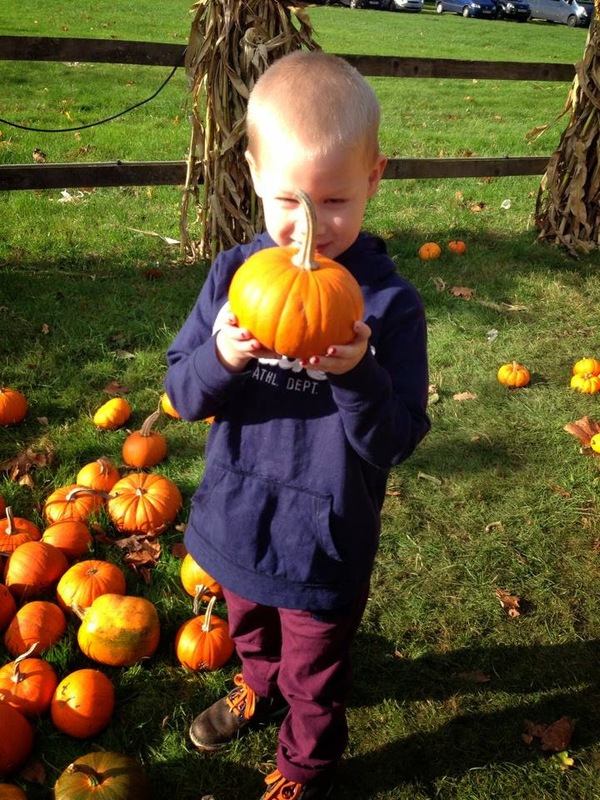 Another thing the children enjoy doing is picking and carving the pumpkins. 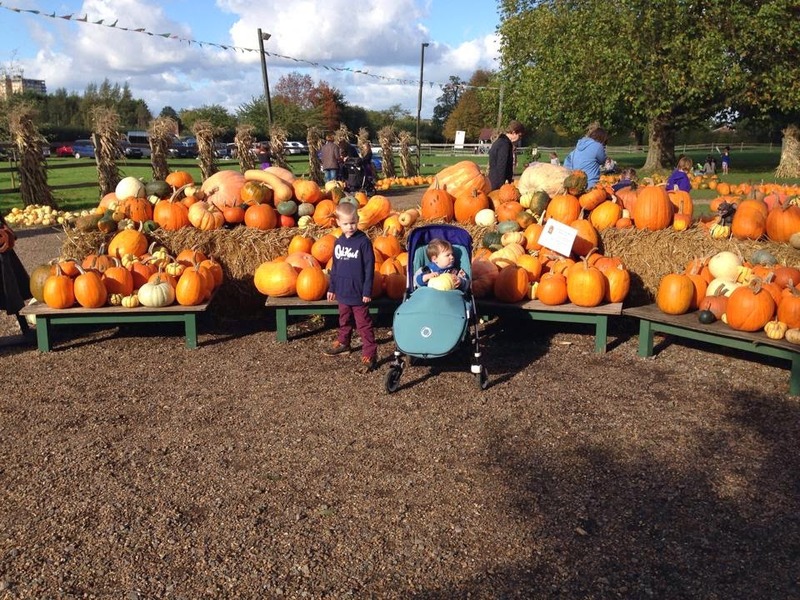 A few years ago instead of buying them from the supermarkets I wanted to go somewhere that we could pick our own pumpkins. I found Crockford Bridge Farm in Addlestone and we set off. It looked amazing. There were so many pumpkins to choose from in size, shape and colour. 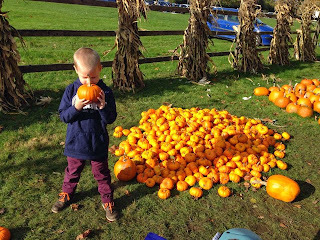 There was lots of activities going on too including apple bobbing, places to sit and carve your own pumpkin, the Wonder Wood hosts the Jack and the Mr Beanz Stalk story this year and I was so pleased we had chosen to go and pick our pumpkins. If you can and you are nearby you must go. In 2018 Crockford Bridge Farm will open their pumpkin fields for the first time ever on the weekends of Sat 6th/Sun 7th Oct and Sat 13th/Sun 14th Oct. This means you can pick your pumpkin directly from the field on these days. 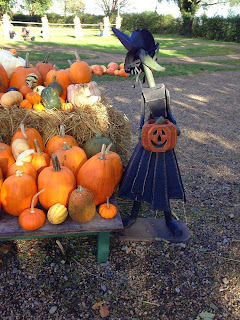 On all other days the harvested pumpkins are laid out for you to pick your own. Decisions, decisions! Which pumpkin do we choose? Our pumpkin carving has also stepped up a gear too. Gone are the pumpkins with triangle eyes, square noses and wonky teeth. Things got serious! 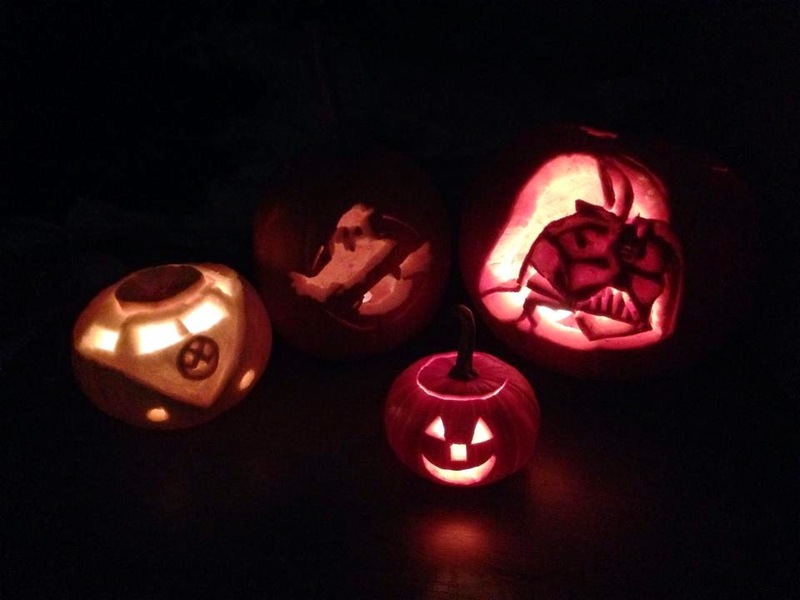 The OH got adventurous with a Darth Vader and Ghostbusters carving. I then had to up my game. Not that I am competitive or anything! I went for the camper van pumpkin. The children just wanted a happy pumpkin so I carved a smiley face into one of the smaller pumpkins. 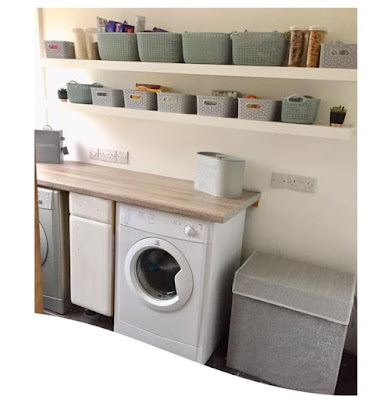 I have another creation in mind too which I will reveal later on in the week, unless it goes wrong then no one is seeing it!!! It's also Bonfire night soon after so I am sure there will be a few displays happening over the coming Halloween season as well as the weekend after. We have our annual firework display at Nanny and Grandad's house planned. This involves tomato soup and a warm roll, followed by bratwurst then the all important firework display and sparklers before finishing off with marshmallows dipped in chocolate and sprinkles. Its fun for the kiddies, we just have a few small fireworks but enough to keep the kiddies happy that they have seen some and the food is always delicious and warming. Have you been to a local pumpkin patch before? How does your pumpkin carving turn out?